Rachel Molina contacted our website design team because she wanted to integrate her wedding portfolio into her landscape and portrait site. 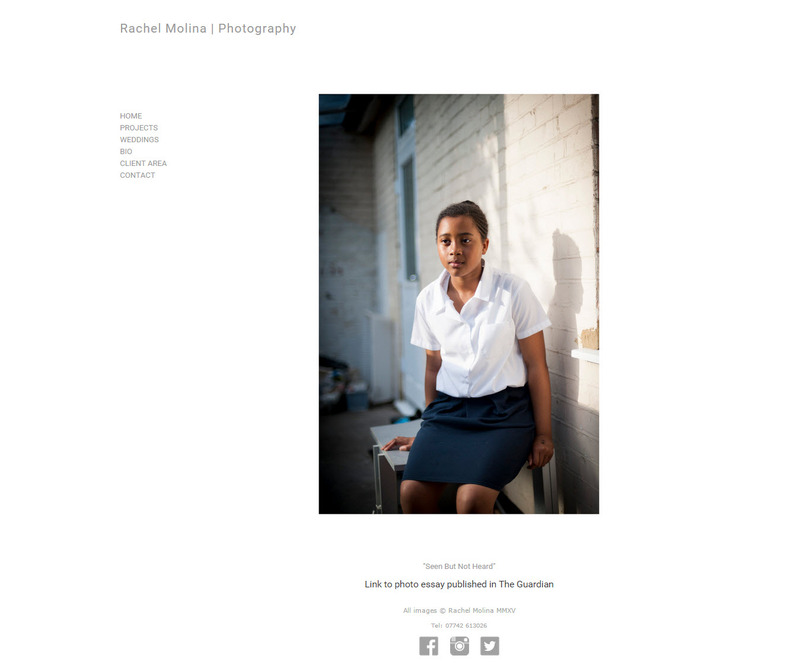 She specifically wanted a very simple design with a left-hand navigation bar and a slideshow of images without thumbnails. 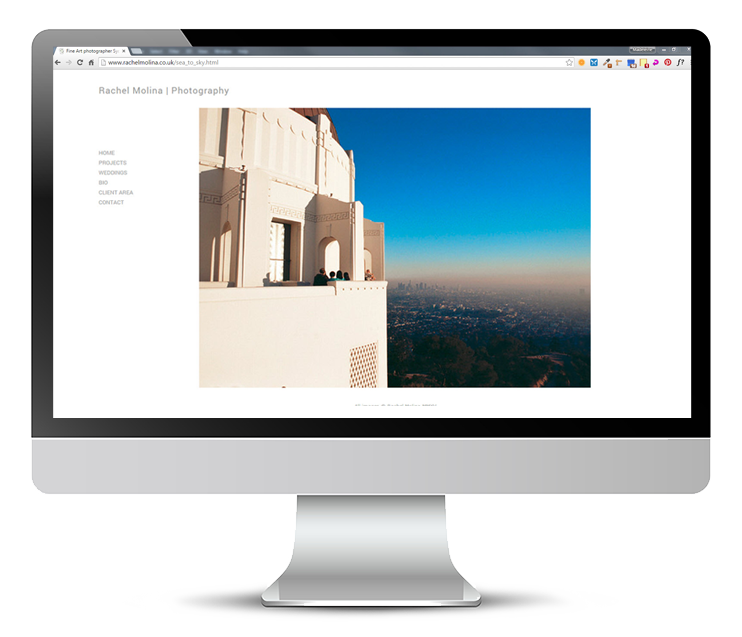 We’re really excited to show you this build as we think it is a really beautiful minimalist and modern design. 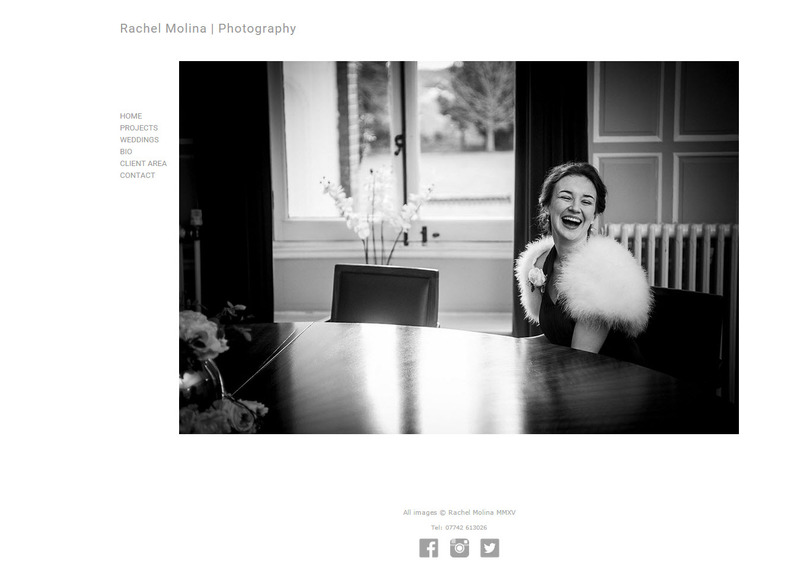 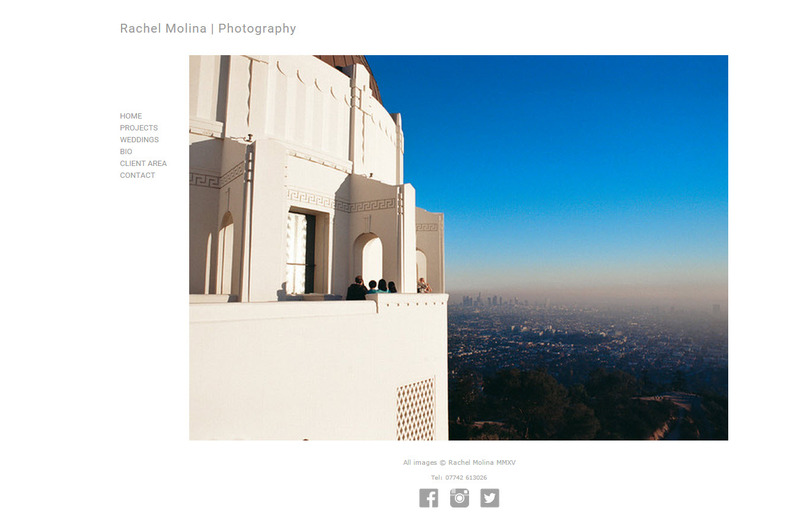 Our screenshots don’t do Rachel’s site justice so make sure to head over to Rachel Molina Photography to see it in all it’s glory!